The estimated cost of the project is around Rs 100 crore that would be completed in 24 months. 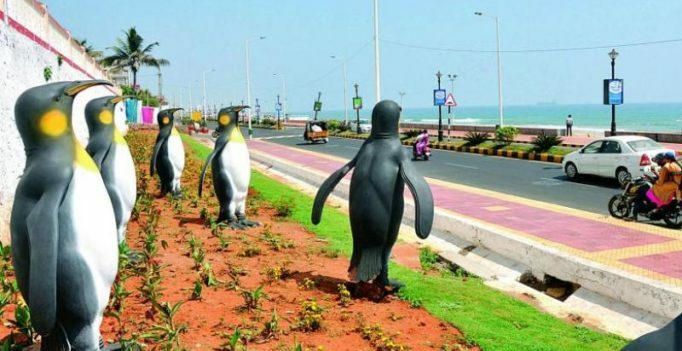 Visakhapatnam: The Greater Visakhapatnam Smart City Corporation Limited is planning to develop Smart Streets having adequate carriageway, on-street parking facility, driveway access to existing properties, green areas including landscape buffer strip, tree grates, cycle track, pedestrian walkway, amenity zone and site furniture. In the first phase, 16 streets will be considered for which GVSCCL has invited Request for Proposal. The estimated cost of the project is around Rs 100 crore that would be completed in 24 months. With the RFP, authorities aim to complete 19.4km of Smart Streets as a pilot project within Vizag. GVMC has around 70 km of streets within its area based development (ABD) limits of which 19.5-km stretch would be beautified. It would include streetscape design, landscaping and intersection redesign under Smart Cities Mission on Engineering, Procurement and Construction (EPC) mode.